Did you catch up a mess of fish? Maybe you just found a great deal at the fish market, er, grocery store. Either way, you'll need an easy recipe for homemade fish and chips. We've got it! In this recipe, Lisa shares how to make pan fried fish and chips at home. Enjoy! Spring Break! My son had the opportunity to clean his first fish this week. And, I got the opportunity to cook them. Two big firsts for our nature-enjoying, convenience-loving family. 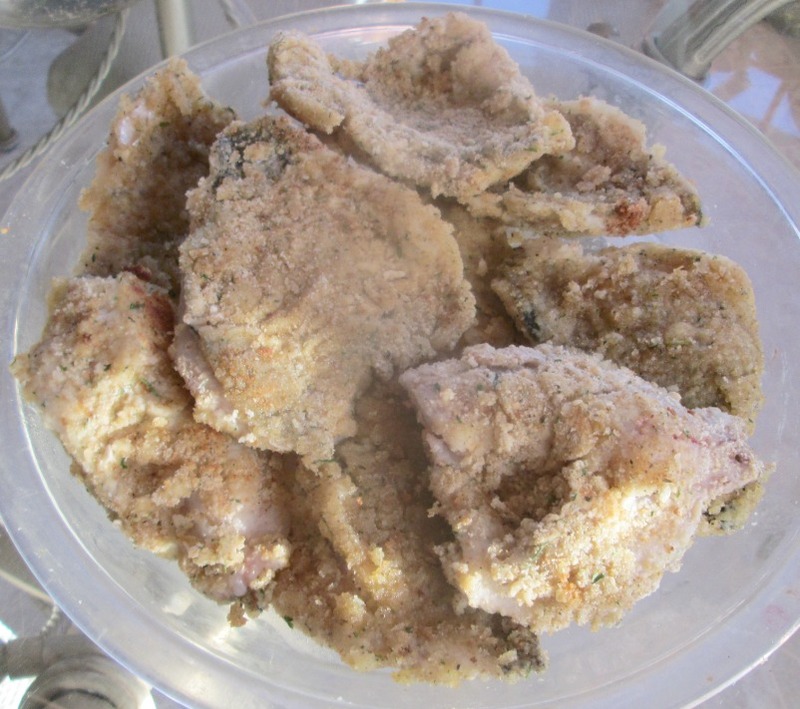 This pan fried fish recipe was a hit for the fresh, black crappie. It would be good with your store bought fish, too. The homemade chips round out the meal. 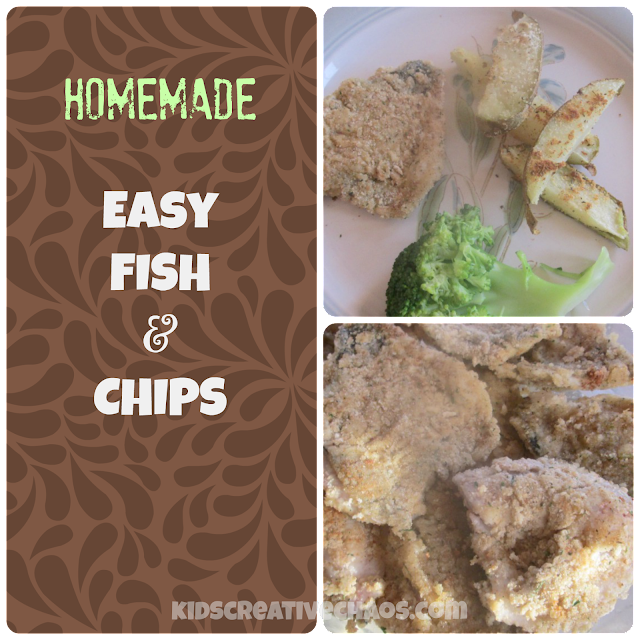 Homemade Fish and Chips Recipe. How to make fish and chips at home. *2. Microwave large potatoes about half on the microwave recommended time. The potatoes should still be firm. 3. While potatoes are in the microwave, mix 1/2 c. parmesan cheese and 1 t. Italian seasoning in a large bowl. 4. 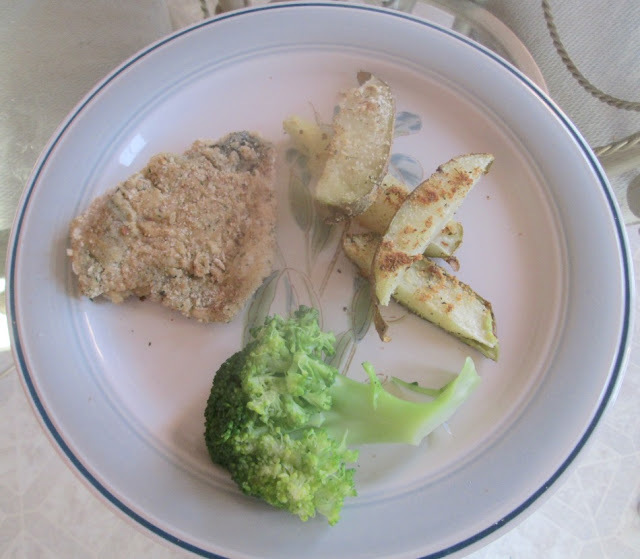 After the potatoes have cooled to the touch, cut them into wedges. 5. Coat the potato wedges with the cheese mixture and transfer to a baking sheet. Spray with cooking spray. 6. Bake in preheated oven for 10 minutes. Turn the potatoes and continue baking another 10 minutes. b. Add 1/4 c. milk to the second shallow dish. c. Add 1/2 c. seasoned break crumbs to the third shallow dish. 2. Pour enough olive oil into a skillet to cover the bottom. Apply medium heat. 3. Coat each fish fillet in the flour mixture, followed by the milk, and finally the bread crumbs.